Are you ready for your best year yet? 2017 just started, and it is set to be a good one! Read more about how you can make 2017 your best year yet! 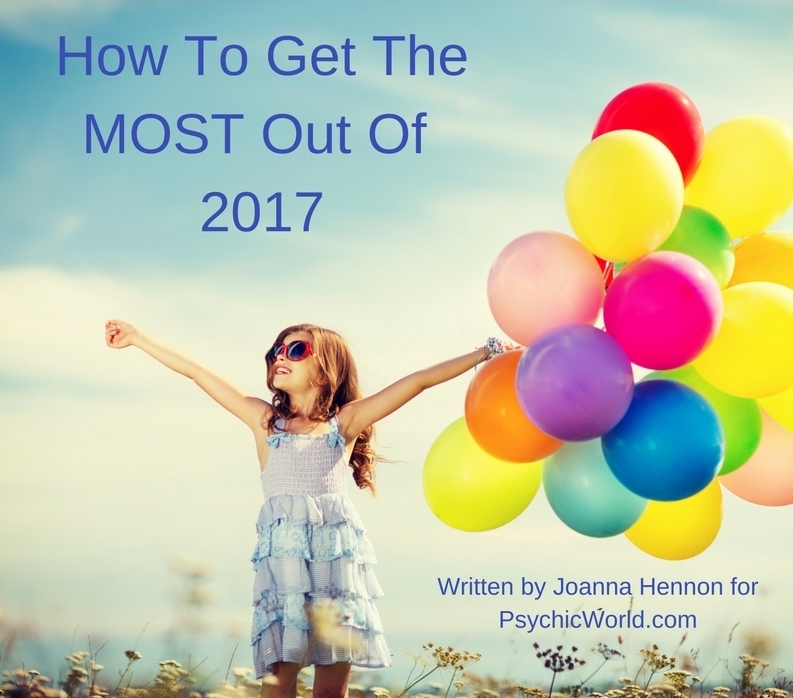 2017 is a number 1 year in numerology, which means that it’s the start of a brand-new cycle. It’s a year to build foundations, to start new projects, to launch yourself into the world. Its energy is all about allowing in more spiritual connection, more soul wisdom, more of who we really are: powerful creators with unlimited potential. We are being invited to shine and to shimmer and to inspire the world in 2017. We are being asked to use more of our soul powers, more of the universe's energy, more of the wisdom we hold and have access to. It all sounds wonderful in words, but what do we do with it, right? To give you some specific things to focus on in order to embrace your power and make 2017 your best year yet, I turned to some of my favourite oracle cards, The Enchanted Map deck by Colette Baron-Reid. The good fortune you’ve been dreaming of, the life you want to live, it’s yours to create and call in! As you set your goals for 2017, as you ponder your desires, take a moment to imagine yourself at the end of the year - what would you love to have experienced? What would you love to be celebrating? What would you want to be telling your family and friends about the year that passed? Don’t settle for what you think is possible or what you’ve seen up until now - there is so much more available to you, if you choose for it and let the universe help you manifest it. Dream big, say the cards, so take some time at the beginning of this year to consider what you REALLY want. What’s been calling you for a long time? What dreams have remained unfulfilled? It’s time to take them out of storage, dust them off, and present them to the universe. Write them down and see if any ideas come to you. Follow your inspiration, because anything is possible this year! Pay attention to how you feel! As you go about putting your plans into action, taking steps towards more of what you want, don’t forget to pay attention to whether what you’re doing FEELS GOOD. You feeling good is the most important thing there is, and it’s the basis of you getting what you want. If something doesn’t feel great, see if you can choose something else or if you can feel better about it. What would it take for you to feel better? It’s really easy to gloss over not feeling good and just push forward, but that isn’t what will help you make 2017 your best year yet. Instead of pushing, allow yourself to be led by joy and fun. Give yourself permission to do more of the things that make you feel good inside, and less of the things that feel hard and heavy. This alone will make a huge difference to what you attract into your life! Stay open to magic you couldn’t have thought of… staying open is what allows opportunities to come into your experience. And then your only job is to say yes to the ones that feel great! If you limit yourself, close yourself off, you won’t see the opportunities that are right for you. So if you know that you have a tendency to want to control the hows, repeat this affirmation as often as you can: “I am open to new opportunities. I am open to achieving my goals in a fun and easy way.” Make this statement your own and it’ll become your truth! 2017 won’t become your best year ever without your involvement - you have to take responsibility for what happens and create what you desire. If you take this to heart, you will see real changes in your life. And undoubtedly some magic, too! 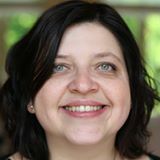 Joanna Hennon is a channel, master manifestor and soul-led business mentor. You can get an empowering reading from her today! Find more about her work at www.joannahennon.com .